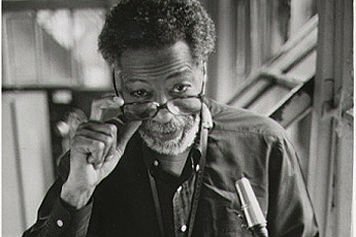 Joe Henderson is sitting at a press conference in Carnegie Hall, New York, patiently answering another dumb leading question. Someone among the contingent of journalists has just asked this legendary tenor saxophonist -- who turned 57 this week -- why it has taken so long for him to be recognised. Henderson smiles wanly and with the humility that has been his hallmark says maybe it was best he didn’t get acknowledged up until recently - perhaps God thought, “If I give it to him early, his head will swell up." There is a ripple of laughter around the room, then Henderson, realising the intensity of the Eastern European interviewer, adds, “But seriously . . .” and embarks on a bland answer. Another question comes his way: what does Joe think of the Verve label? It’s about the third time the question has been asked and this time the collective groan from other journos flown in from as far afield as Japan, New Zealand and Europe shuts the question down dead. This is the 50th anniversary salute to the Verve record label, the label to which Henderson signed two years ago, and the shy, bearded saxophonist is just one of the star-studded panel which includes Herbie Hancock, Betty Carter, young trumpeter Roy Hargrove, Antonio Carlos Jobim and guitarist Kenny Burrell. Yet of all these, Henderson, of worryingly fragile and birdlike frame, is attracting the most attention. That's what winning Grammy Awards does for your profile. Suddenly - after a lifetime in jazz - Joe is an overnight sensation for soundbite television and print journalists after a quick quote. Henderson smiles warmly but, gentleman though he is, he deserves better. He possesses, in the heading of a recent profile in the influential jazz magazine Downbeat, “The Sound That Launched a Thousand Horns”, has a career that dates back 30 years, has been the consummate sideman on albums which featured jazz musicians as influential as pianist McCoy Tyner, drummer Elvin Jones, trumpeters Lee Morgan and Freddie Hubbard . . . The list goes on and Henderson's CV is crammed with the stuff of jazz legend. But more important for present purposes is his commercial success. In an art form where commercial success without artistic compromise is a rarity, Henderson has pulled it off. His Verve biography ludicrously overstates the case when it claims he is “the most celebrated jazz artist of the past 25 years”. But there is no denying sales of 100,000 for his Verve debut Lush Life; The Music of Billy Strayhorn in '92 (his first Grammy and scooping multiple awards in Downbeat) or the even more successful follow-up, So Near, So Far; Musing for Miles of last year which pulled in Grammies for best jazz instrumental solo and best jazz instrumental performance. Henderson's name was again at the top of Downbeat and Billboard readers and critics’ polls, and from New York‘s Village Voice and Times through USA Today to the Grand Rapids Press and the Cleveland Plain Dealer, his was the album that hit all the “best-of-the-year” lists. 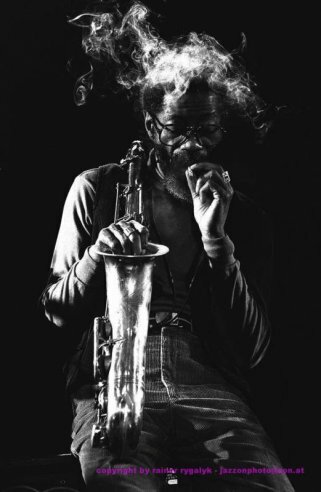 Thirty years after topping the Downbeat poll as a “talent deserving wider recognition," Joe Henderson was solidly placed at the top of the Billboard' jazz sales charts. A star. Jazz success, however, can be easily won -- Kenny G, for instance -- but it usually doesn't sound like jazz. Kenny G, for instance. 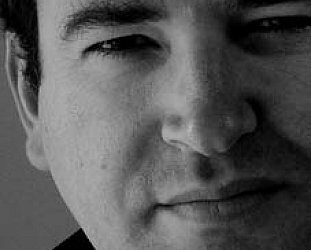 But Henderson‘s albums are unmistakably jazz, crafted in the classical framework and tradition. He plays on both recent albums with small groups (Wynton Marsalis appears on Lush Life, guitarist John Scofield on So Near, So Far) and the consistency of his vision has been reinforced by the reissue of some of his earlier albums in the wake of his current success. The German label MPS recently reissued his 1980 album Mirrormirror and there is the magnificent four-disc box set The Blue Note Years which gathers together 36 tracks (mostly from the influential period in the Sixties). All are testament to Henderson's unswerving musical integrity, his ability to play jazz without resorting to cliche or filibustering solos and to his deep immersion in the various threads of jazz throughout the decades. That sagging shelf of awards, trophies and plaques is much deserved. And he has often - like Miles Davis, with whom he once played very briefly - worked with younger musicians. “l like being with the ones who have done their homework,” he says once free of the dumb leading questions. "They deserve to be heard. They have to study the craft and take the music seriously. It’s not just getting up and looking hip on the bandstand; the music comes first and everything else comes after. "There was a point where it seemed if you packaged it right and put it in the marketplace in the right places, whether it was ready or not, it seemed to be acceptable," he adds, referring to the Eighties when record companies went on signing sprees looking for the new Wynton Marsalis. “Verve has at least moved away from that attitude and put some integrity back into the music. I'm happy to be recognised the way I have over the past year and a half, but I don’t do this for the recognition. I do it because it’s what I'm supposed to do on this planet, I enjoy what I do and I try to project that so the audience gets a lot of happiness. "But we have to look at the whole picture. Miles [Davis] influenced this whole movement, just as Lester Young and others before did. And all those who never got recognised. I don’t appreciate them any the less for that [lack of recognition]." What this late career success has meant, however, is that writers and critics, most of whom should know better, are writing Henderson up as the last survivor of his particular generation of jazz artists. Henderson is far too modest and knowledgeable to suggest that. 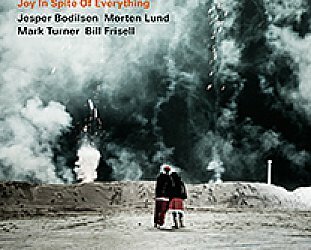 He sees himself as part of a tradition and his two Verve albums, the first a homage to the songwriter who for 30 years worked with Duke Ellington, the most recent a respectful nod to Miles Davis, were both projects he refers to as replanting the trees. But this sudden flurry of attention for the albums, his invitation to play at the Clinton Inaugural Ball, a South Bank Show profile, numerous print interviews and sell-out live performances have cast Joe Henderson of Lima, Ohio, as some Anthony Hopkins of jazz -- the one who has always been there in workmanlike and creditable roles but has only lately been accorded his due for carefully crafted albums on his new label. Hence the question: "What do you think of Verve, Joe?" As the press conference winds down, Henderson takes his leave, grabs a salad off the amply stocked side-table and settles into a chair while television crews pursue Herbie Hancock for a soundbite. He seems delighted to be able to talk about music and, as his manager observes later, “You don’t get a five-minute interview out of Joe". He is a gracious and generous talker, and a gentleman who is candid enough to admit the success now means he can get a good seat in a restaurant. He exchanges a few words in Spanish to a Mexican television crew and, like most jazz musicians who have found second homes in France, can make small talk in French. 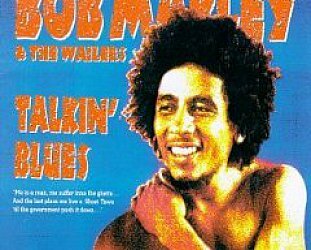 He has recorded in Japan, brought Afrocentrlc ideas to two famous albums in the Sixties (Black Narcissus and Power to the People, both with a hard political agenda), on the cusp of the Seventies spent six months in the jazz-rock band Blood. 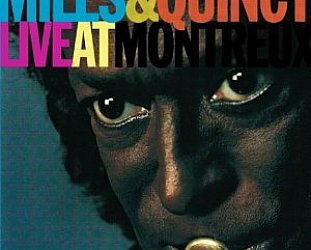 Sweat and Tears (which he hated – too repetitions, too many limos and too little music) and is now the elder statesman of the melodic, mature and confident sound of post-Davis bebop and ballads. Joe Henderson has come a long way . . . but he remembers it all. "I had no input into that Blue Note compilation because I'm now signed to this other company,” he says, "but I take my hat off to them. They did a beautiful job. I had a two-hour interview flying between LA and Nice with the guy who did the liner notes and I was surprised, as he was; just how much I could remember. “When he was asking questions. the recording sessions seemed like they'd happened the day before. But because they were so long ago - the first one came from my first recording in 1963 - I can now be objective about them." Henderson's recall easily encompasses his first paying gig in New York City. He'd previously studied at Kentucky State University for a year and spent four years at Wayne State in Detroit where he played alongside multi-instrumentalist Yusef Lateef and trumpeter Donald Byrd. During two years in the military he spent time in France where he met jazz expatriates Bud Powell and Kenny Clarke. On his discharge in '62, he settled in New York and hooked up with a bassist from Detroit, Bernard McKinney, who showed him the ropes. Within months Henderson was playing alongside trumpeter Kenny Dorham on a Blue Note recording session -- another coup, given that label's special place in jazz of the period. His own Blue Note debut, Page One, was recorded in mid-1963 and Henderson was on his way. He played on 30 albums by others and recorded seven under his own name during that exciting decade of jazz where there seemed to be few boundaries. Vying for eartime in the jazz community of the time were the sounds of free jazz -- spontaneous improvisation which took as its starting point Ornette Coleman’s Free Jazz album of 1960 -- and straight ahead hard bop. There was Third Stream with its classical influences, the Afro-driven spiritual sounds of John Coltrane, restrained experiments with time signature by Dave Brubeck and his acolytes building on his Take Five album of '58 . 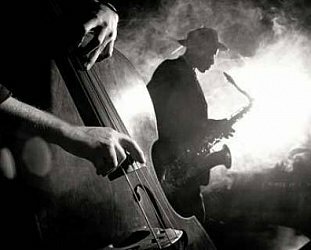 . .
“That idea of saying, 'If you play saxophone, come on up and we’ll figure out something’ seems gone now," he concludes ruefully. Doubtless that spirit of spontaneity was crushed in the Eighties by what has become known as the “neo-conservative” movement which had as its figurehead hot trumpeter Wynton Marsalis, whose insistence on the correct, respectful attitude to the music often took on the appearance of a political dogma. Having sat out the Seventies after his Blood, Sweat and Tears encounter as a low-profile jazz player, Henderson steadily worked his way back to the forefront in a series of trio recordings during the neoconservative Eighties. As one who was there for that particular jazz the first time round, he is surprised and saddened at the attitude of these younger musicians whose market profile he hinted at it whose music often doesn't match the claims made for it. “I'm just surprised they seem so easily satisfied,” he says, shaking his head with a bewildered smile. “They are satisfied just to become the clones of the musicians of the previous generation. They only want to be as good as that. In the Sixties we were interested in pushing back those boundaries and adding something new and coming up with ways and undiscovered avenues of interpreting and improvising. “We were young and excited by the possibilities - but today so many younger musicians appear to be satisfied with just being as good as the previous generations. "I don't understand that spirit. I'm used to a much more dissatisfied climate out of which comes some great melodies and works of art oftentimes. “The state of the art recording now is at a high level, although some things about it haven’t really changed as far as my ear is concerned. Sure, it’s gone from analogue to digital, so now it's nothing for these young musicians to have their music in stores right alongside the masters who are the mentors and influences. But how could it be that you would put something out which isn’t quite as good as that - but maybe just sounds better? If the neo-cons have been lining up to pay homage to those mentors and influences – notably Duke Ellington (in the case of Marsalis and his followers) and the early Miles Davis - then so, too, are many of the more mature musicians tipping their berets towards Henderson. 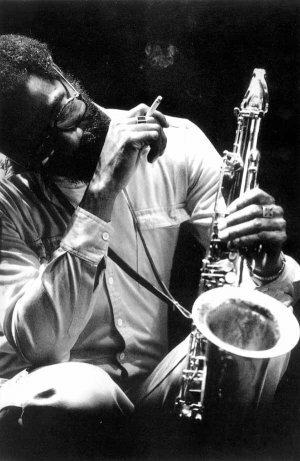 Dumb leading questions by interviewers notwithstanding (“What do you think of Joe Henderson?" directed to trumpeter Roy Hargrove. Answer: "Well, he’s always been recognised by musicians . . ."), Henderson cops acclaim whichever way he turns. Guitarist John Scofield - one of the finds of the Eighties who didn't fit the neocon mould calls him “the essence of jazz” who embodies “all the different elements that came together in his generation: hard-bop masterfulness plus the avant-garde." 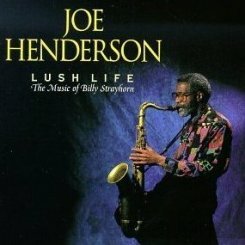 Branford Marsalis considers Henderson “one of the most influential saxophone players of the 20th century" and young pianist Stephen Scott, who plays on Lush Life, notes: "Joe uses so much space when he plays and, as a piano player, you have to learn to play in the cracks so that you won’t get in the soloist's way. Joe starts in the cracks!" Respect from peers has always been more important in jazz than Grammles and critics' polls -- welcome though they may also be. 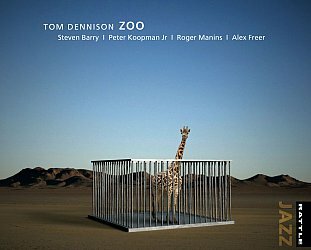 Tenor saxophonist Joe Lovano, himself a musician like Henderson who swam against the neo-con tides of the Eighties, offers the most telling tribute to a man whose particular path has been unique in a music that is by definition individual and unique. “he's always had his own voice,” says Lovano. "He's developed his own concepts with inspirations of the people he dug but without copying them. I hear Joe in other tenor players. I hear not only phrases copped from Joe but lately I hear younger cats trying to cop his sound. That's who you are as player: your sound. But it’s an adventure with the attendant pitfalls of success at this point. For a musician whose career spans the breadth of jazz expression, he has latterly become known for his two most recent tribute albums using the music of others. He is scrupulous about according those musicians their due, but the question remains: Where's Joe going with this? "I’m thinking about another album right now,” he says thoughtfully, "but we haven't settled on how we want to approach it. If it’s another tribute, well, I’d have to say that formula has worked well for me. “They are great projects - Lush Life and Musing for Miles couldn’t have been better, just beautiful music regardless. But if I did another it would definitely have to be the last and I'd make a l80-degree turn because there is such a danger in being typecast. “And I’ve done so many different things in jazz over the years. “People say to me, ‘Look, that was all right - but we want to hear your music now.’ I get that more often than anything else these days. And when you‘ve had the success I`ve had recently, you have to plan things out a little more. Unfortunately you can't just go out there like a carefree spirit any more and have at it like you used to." He offers a broad smile and the lines around his eyes etch in deeper. Not like you used to? 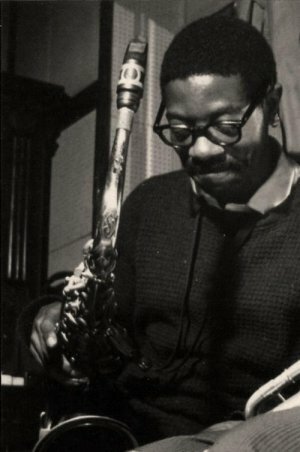 Joe Henderson's next album for Verve was in fact a tribute to Antonio Carlos Jobim (who also appeared at the Verve festival in his last live performance), and he also released his interpretation of Gershwin's Porgy and Bess. He died of heart failure due to complications from emphysema in 2001.